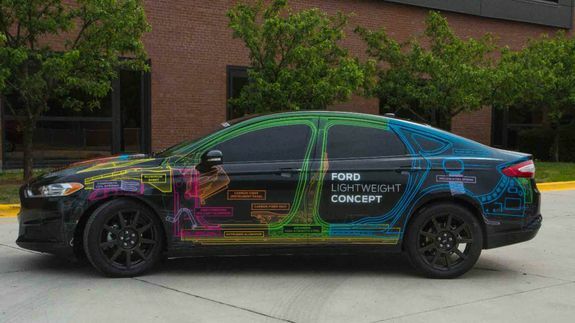 Ford Unveils Ultra-Lightweight Fusion Concept Car - trendistic.com: ever tried. ever failed. no matter. try again. fail again. fail better. Ford unveiled a new concept car Tuesday, an ultra lightweight Fusion that is 800 pounds lighter than the Fusion models currently on the market.